Drum Microphone Sets - Akwil Ltd. Drum Microphone Sets There are 2 products. 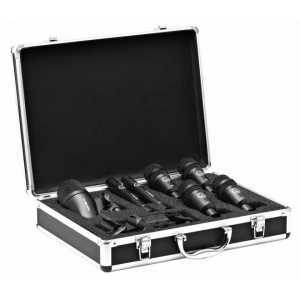 Premium selection of AKG microphones. 1x D12VR, 2x C214, 1x C451B, 4xD40 plus K&M 24030 clips. The Drum Set Session I is a high-performance drum microphone set and the ideal all-in-one starter kit that delivers an impressive combination of performance and value. Do you have a question about one or more of our Drum Microphone Sets products? Click below to contact us.